Such influences were integral to the expansive, brass-spiked palette of Blood, Sweat & Tears, of course, and with such classic sides as “Spinning Wheel,” “And When I Die,” and “You Made Me So Very Happy” Clayton-Thomas emerged as one of the most distinctive vocalists of the rock ‘n’ roll era. 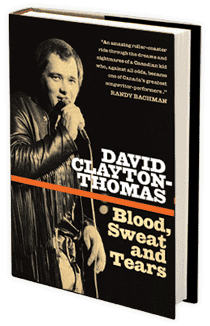 Though he ultimately left the band (and the rigors of nearly four decades on the road) in 2004, Clayton-Thomas has continued to write and record with the same integrity and passion that distinguishes his signature works. 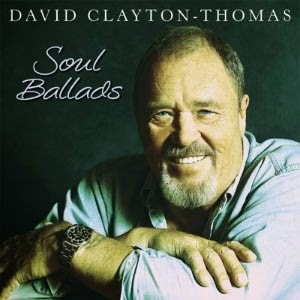 With his 2010 LP, Soul Ballads — originally released by Universal Canada upon the publication of his autobiography, aptly titled Blood, Sweat and Tears — Clayton-Thomas collaborated with producer and arranger Lou Pomanti on a set of R&B standards as a tribute to some of his biggest and most cherished influences. For the Soul Ballads album, it really must’ve been a tall order to record songs by Ray Charles and Sam Cooke and others that the public already know so well. When we did this album, I didn’t even take lyric sheets to the studio. I knew these songs so well. They’re a part of DNA. Lou [Pomanti] had been after me for quite some time to do this, and that was one of the reasons why I wouldn’t want to do it.… It was very intimidating. I love those songs so much that I didn’t think they could ever be done better. Maybe “better” isn’t what you’re working toward with these songs, though. No, no. Well, we’re able today… When I went back to listen to the original records, [on] a lot of that stuff the recording was really terrible. They were recorded on a four-track machine or maybe even just in stereo — or a tape recorder, in those days — and of course we have the advantage today of a modern digital recording studio. And quite often, like the Bobby Hebb tune, “Sunny,” the horns were so out of tune on the original record I couldn’t believe it. But it didn’t matter because that soul just came through.… What we could do [though] was we could take these iconic songs and with the use of modern recording techniques and really superb musicians we could bring those songs into the twenty-first century. Based on that, I said, “Come on, let’s do this album.” And we did it, and Lou Pomanti produced it. He’d been my piano player in Blood, Sweat & Tears for about five or six years. We traveled the world together. He also played with me in the early days when we played jazz clubs and bars here in Toronto, and he heard me sing a lot of this material. I’ve been reading your autobiography, actually. You’ve led a remarkable life — a remarkable life in extremes. Yes, from the lows to the highs and then back again three or four times. What was it about the blues and soul and R&B that first drew you in, not just as music to enjoy but that which you could sink your teeth into as a singer and try yourself? As you know — you’ve read the book — I spent most of my teenage years a homeless kid, in and out of reformatories, and the blues just seemed to be… That’s where the blues came from. The blues came off of chain gangs, prison work gangs, with the chants and everything else. And I just gravitated to that. Was there a moment early on, while working in the clubs as a young singer, when you realized that what you weren’t just acting out a passion but that — all modesty aside — you were really good at it? Oh yeah, the first time I stepped on stage and performed. The rockabilly singer, Ronnie Hawkins, he just let me sit in one afternoon at the club. And I got up and I sang. I think I sang a couple of Jimmy Reed tunes and stuff like that. I was hugely influenced by Jimmy Reed. He’s kind of been forgotten in the whole history of blues, but that first album, Jimmy Reed at Carnegie Hall — double-album set — I learned every single note, every song on that album. It was just amazing. So I sang a couple of Jimmy Reed tunes and people stood up and they cheered and clapped and I said, “Hey, I must be pretty good at this.” But I’d already been doing prison concerts and stuff like that. It wasn’t like I was totally green performing. You got to see a lot of the music greats perform back then, too. Yeah, that’s true. What’s described today as “The Toronto Sound” is just steeped in R&B. There’s a very good reason for that. When we were young musicians growing up and seeking out our idols there was a color bar in the States, especially in music. If you were a black band and you played in Detroit you played on the black side of town in black clubs to black audiences. And there were seldom any mixed bands. A lot of the bands that I worked with up in Canada were mixed. We couldn’t come down to the States, couldn’t get booked down there. I’m going way back now; I’m talking about the early sixties. Things have certainly changed. But the result of that was all those great Motown artists and the Chicago blues artists, they loved to come up here and play in Toronto where there was no color bar. They played to mixed audiences in nice clubs. So [in] our various experiences working up and down what they called the Strip, which was the Yonge Street strip of about ten or fifteen bars, you’d be working and at a club next door would be B.B. King and down the street would be Ike and Tina Turner and the Temptations. They all came up here. So they really influenced the young Canadian musicians. Even today, especially Toronto, there’s a heavy R&B influence here. So I grew up with it. Your singing has always seemed so visceral. Was there a danger over time of losing that instinctive quality of your singing, like if you found out how the engine ran then maybe the engine wouldn’t run the same? Well, I think you can get burned out. 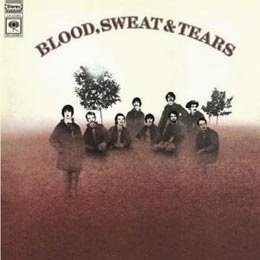 Now, I was on the road with Blood, Sweat & Tears for forty years. It was a big band with a lot of mouths to feed, agents, managers, an office and everything else. We were on the road two-hundred days a year for forty years with hardly a break ever. And you do get to a point where you’re thinking, Here we go again. I guess that’s one of the reasons why I left in 2004. There was just nothing left for me anymore. It was just going out and just doing the oldies night after night after night, making a lot of money doing oldies. There’s no growth there. There’s no chance to write. There’s no chance to explore different things, and it can be very suffocating. I just got to a point where I wasn’t doing it for the money anymore ... and not only that, but I looked around me and didn’t know anybody in the band. It was all new guys, some of them weren’t even born when Blood, Sweat & Tears started. I just said, “I’ve had enough of this.” But I think a major reason was you just find yourself running out of inspiration. You’ve sung this song two-hundred times in a row, night after night after night — literally, over the years, thousands of times — and it starts to go stale. But the people who come to the concerts, some of them are seeing you sing those songs for the first time in their lives. Then you’re just a legacy act. Exactly right. And I just got to an age when I thought, Well, I don’t know how many years I’ve got left at this point. Do I want to spend the rest of them doing this? Nah, I don’t think so. In a sense, Soul Ballads brings your career full circle. Yeah, and you know what? I’ve always been kind of obsessed with writing my own material, but I had so much fun making that album. Another thing that really influenced me in the old days was standards. I loved singing standards, “Stardust” and “Summertime,” stuff like that. I always had half a dozen standards in my show. I was so happy with the way the Soul Ballads album came out that I decided to do it again with standards. So we’ve just finished a new album. The hard work is being done now and it should be out later on this spring. It’s called Combo, which is five of Canada’s finest jazz musicians in a small combo doing standards. So, yeah, again full circle. I don’t know if it’s the age I’m getting to or what, but it indeed has come full circle. Maybe writing your autobiography a few years ago triggered something for you. That’s a good point. I think you’re probably right. Writing a memoir… Human beings, we tend to take all the dark things in our lives and push them into the back corners of our minds and don’t think about them a lot. But when you sit down to write an autobiography or memoir you realize you’ve got to come clean. You can’t BS your way through this because many of the people who read this book were there. They know the story. So you’ve got to be right up front and you’ve got to dredge up some of those dark corners and bring them out again. It’s cathartic, but it can be a little painful too…. I didn’t want to use a ghostwriter so I did it myself. You’re reliving those moments just about every day for a year and a half. But you’re also living the great moments too, you know? So it kind of balances out. I’ve got to say, I’ve probably had more great moments than the down moments, because once I started in music there was no turning back and I had a wonderful life from that point on. The U.S. release of Soul Ballads is available now on Airline Records. 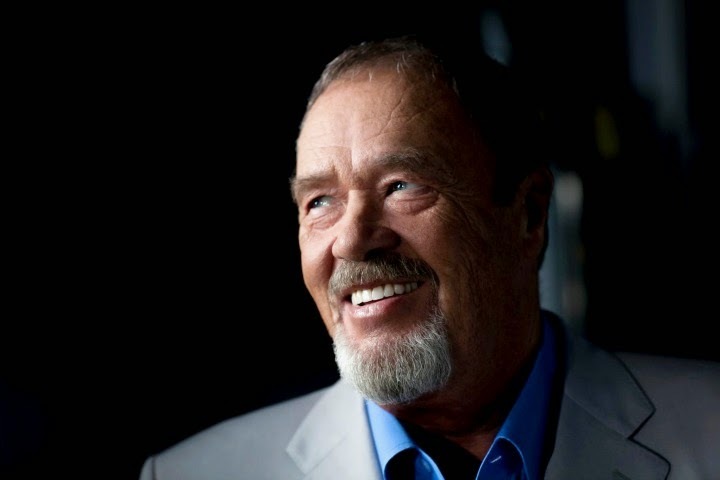 For more information on David Clayton-Thomas, please visit the artist’s official website.